Liam Gallagher was named Godlike Genius at the 2018 NME Awards during the magazine’s February 14 event at London’s O2 Academy Brixton, and video of his acceptance speech and full six-song performance is streaming online. New Musical Express Editor-In-Chief Mike Williams presented Gallagher with the special award, saying his appointment to the Godlike Genius rankings was “extra special” compared to previous winners. “I want to dedicate this to my mam and my army of songwriters, past and present. 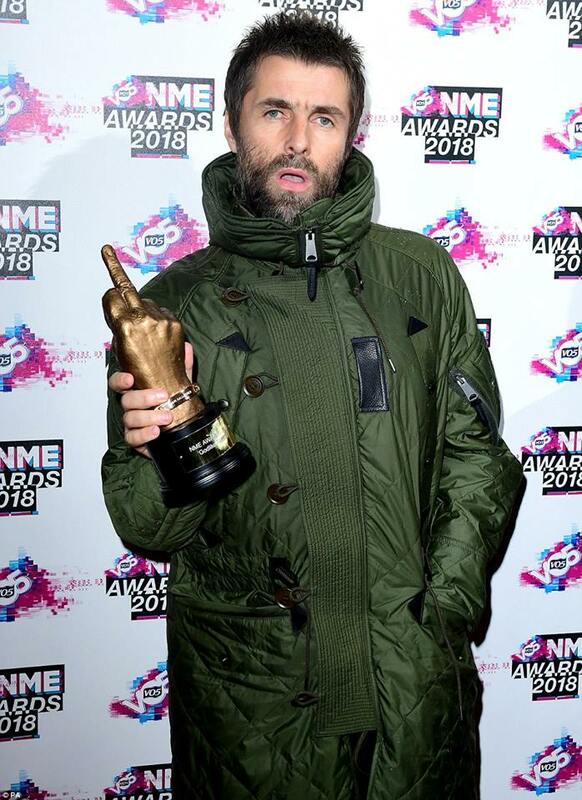 The parka monkeys,” said Gallagher as he accepted the honor. The 2018 event recognized UK and international artists, including Kasabian (“Best Live Artist”), Shirley Manson of Garbage (“NME Icon”), and Alt-J (“Best Bitish Band”), among others. Produced by Greg Kurstin (Adele, Beck) and Dan Grech-Marguerat (Radiohead, Mumford And Sons), “As You Were” recently topped the UK album charts and hit No. 30 on the US Billboard 200. Gallagher will launch a European tour in Madrid , Spain on February 23; he’ll then head to South America for a number of gigs, including slots at Lollapalooza festivals in Argentina, Chile and Brazil.